Not all living rooms were designed with the TV in mind, which is a challenge, because more often than not, the living room is a space that includes a TV. 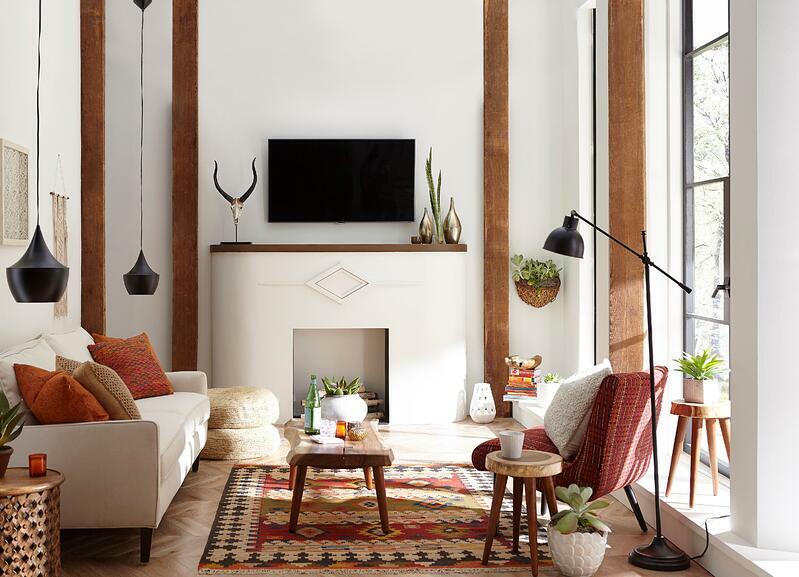 Large and small living rooms alike have obstacles when it comes to TV placement, and then there are the elements within rooms, like a fireplace or wall of windows, that require an additional layer of consideration. 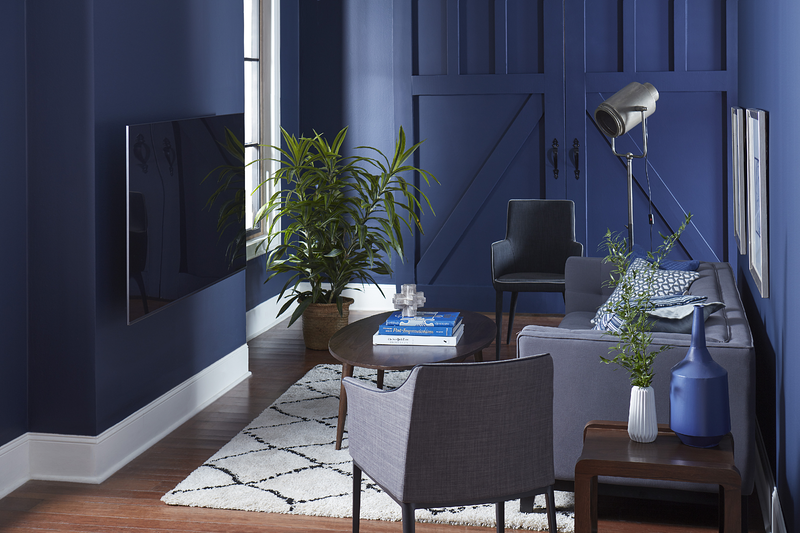 Finding a functional place for your television without having to compromise on your furniture arrangement or style can be challenging – but it is possible! 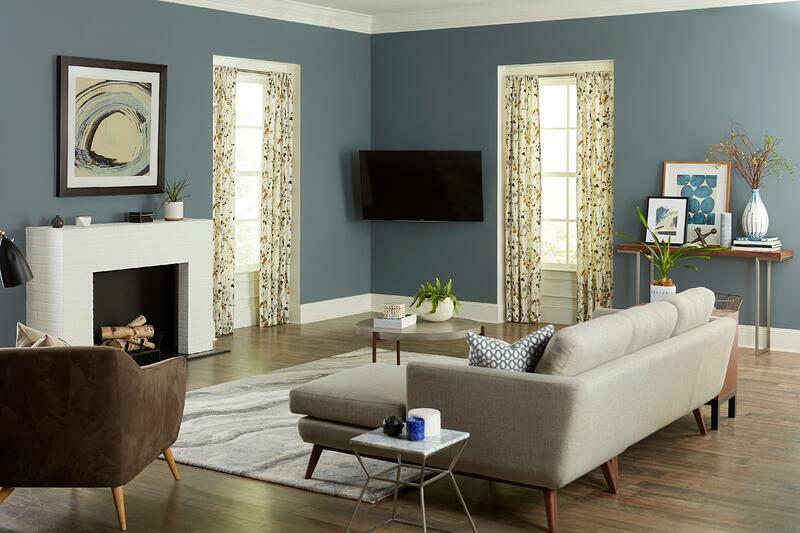 Read on to see our top living room TV placement solutions. We would be remiss if we didn’t start off with TV height because it is so critical in getting a functional TV setup. Afterall, watching TV should be a relaxing experience – not one that causes neck strain. To get the most comfortable experience when watching TV, you’ll want your TV to match your eye level when seated. On average, that’s around 42 inches from the center of the TV to the floor. Not every room layout allows you to place your TV at the ideal viewing height. If you need to place your TV somewhere that is higher than eye level, like above a fireplace or over a taller piece of furniture, there are TV mounts that can improve your viewing angle by tilting the TV downward to meet the eye. More on that later in the post. If you have an open concept floor plan, you know that an expansive space, like a great room, can leave you feeling a little overwhelmed when it comes to TV placement. 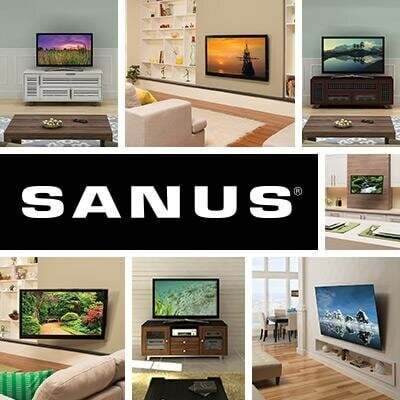 You may have a lot of options, but how do you know which location is best for a TV? A good place to start is to consider the sightlines within your great room and adjacent rooms and how you use your space - or how you would like to use your space. Because there are fewer walls dividing the overall space into individual rooms, the TV in your great room can be viewed in other rooms like the kitchen, dining room and maybe even outdoors on a porch or deck. If the thought of catching up on your favorite show while you prep dinner, or keeping an eye on the game while you enjoy a beautiful summer evening on the patio is appealing to you, you should consider mounting your TV using a full-motion mount. A full-motion mount allows you to easily move your TV left and right, and tilt your TV downward. Point your TV towards the room you are using, and when you’re done, easily move it back to flush. One more thing to consider in an open concept floor plan is traffic patterns as they differ from the more “structured” room-to-room movements of a traditional floor plan. You’ll want to be sure the sightline between your TV and sofa isn’t in a high traffic area. Having family members traipsing in front of the television during your favorite show is best avoided if possible. If you have a traditional living room, your space is a more defined area - separate from your dining area or kitchen. Chances are you won’t be viewing your TV from multiple areas within your room – but rather, from your main seating area. 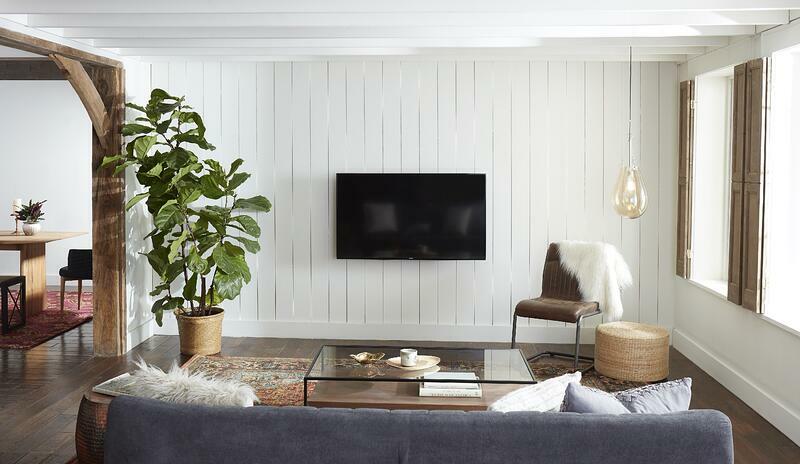 If you have ample wall space directly across from your sofa, then TV placement shouldn’t be much of an issue. As long as you aren’t dealing with glare from indoor or outdoor light sources, you can place your television on media furniture or use a fixed-position mount. If you have an older home, the features that add charm to your space, like built-in wooden buffets and bookcases, can cut into available wall space for a television. It’s a crazy thing to think about in our technology-driven world, but if your home was built before the 1950s, TV placement wasn’t even a consideration when your home was constructed. If you're dealing with "cut up" walls or generally limited wall space, a solution that works particularly well is mounting your TV in the corner. 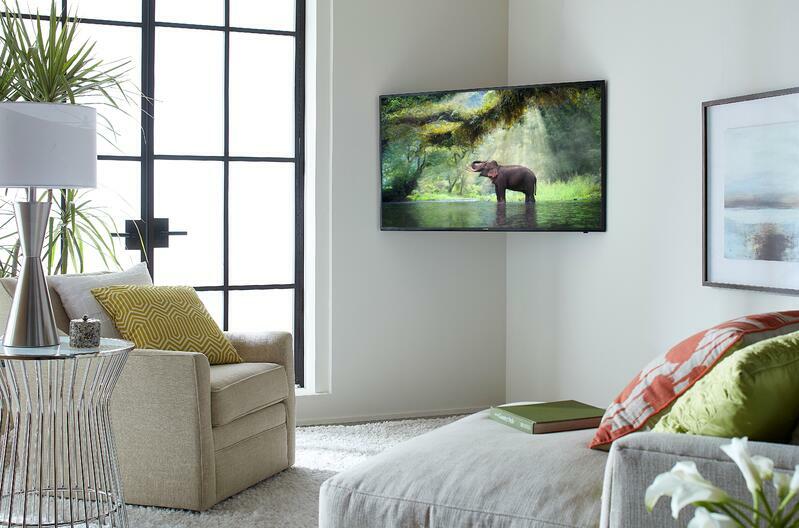 When you corner mount a TV, you use a TV mount that is moveable – we call this full-motion. A full-motion mount allows you to extend your TV and angle it towards you when in use and then return it to it’s flush position when you’re done. Now we know this is a topic where people have strong opinions. There are two schools of thought: the pro-TV-over-fireplace camp and the anywhere-but-over-the-fireplace camp. Whatever side you are on, you may have more options than you think when it comes to placing a TV in a room with a fireplace. 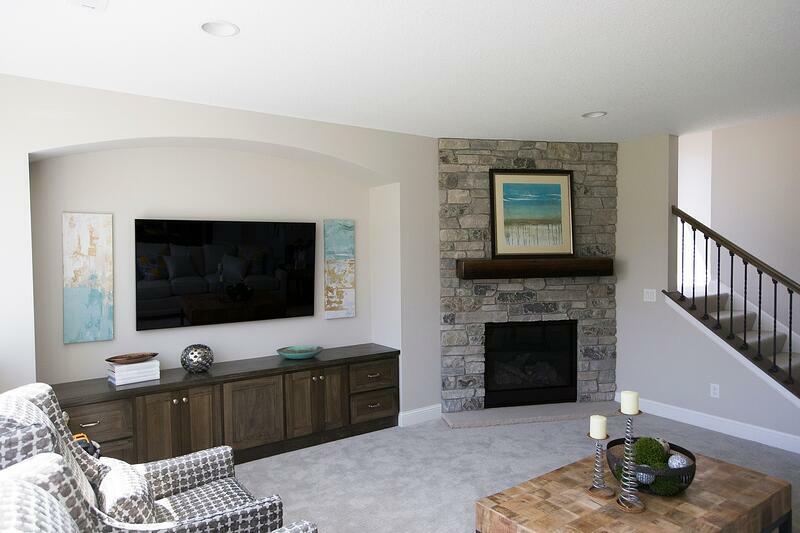 If you're a fan of the TV above the fireplace look, there are a few things to think about before mounting your TV – namely mantle height. With most mantles, the TV will be placed above eye level, but with the right mount, you can tilt your TV down to eye level to get a comfortable view of your TV. If you have an especially high mantle, you may want to explore other options that may be able to provide a more optimal viewing experience. If you aren’t wanting to mount your TV over your fireplace, mounting your TV next to your fireplace is a great solution. This way you aren’t creating competing focal points with your fireplace in one area and your TV in another. Don’t rule out the corner. If mounted on a wall that is parallel to your fireplace a corner mounted TV can be an ideal solution. Extend the TV when in use, and when your done push it back into place. A living room with lots of natural light is a beautiful thing, but a room with an abundance of windows can make TV placement difficult. 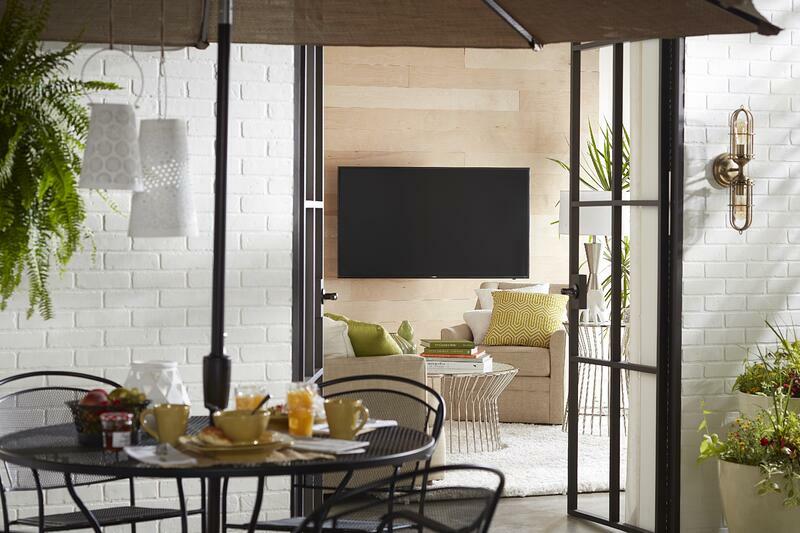 Either you’re trying to find sufficient wall space to accomodate a TV, or you’re dealing with glare on your TV – or both. 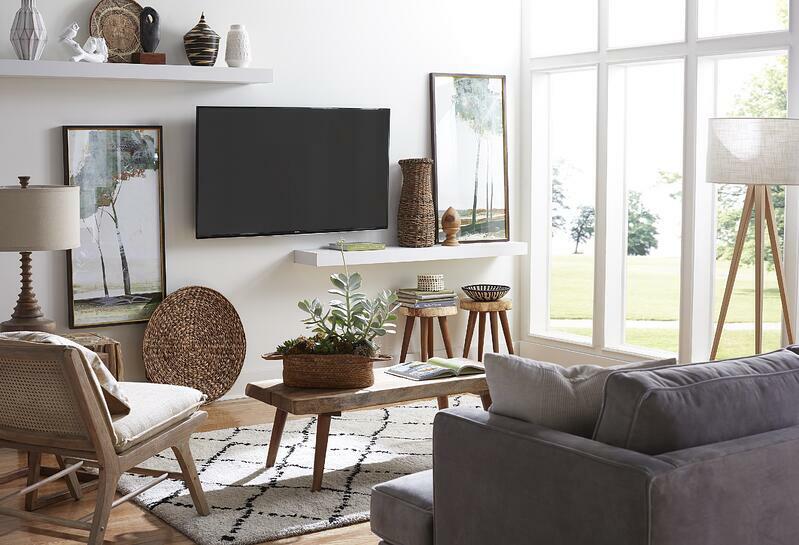 If you need to place your TV on a narrow strip of wall between windows, you’re probably hard pressed to find a piece of media furniture that feels to scale with the size of your TV screen as well as the rest of the furniture in your living room. This is a scenario where mounting your TV is win-win. It eliminates the need to find that very specific piece of furniture and it helps address the glare that is inevitable when a TV is surrounded by windows.